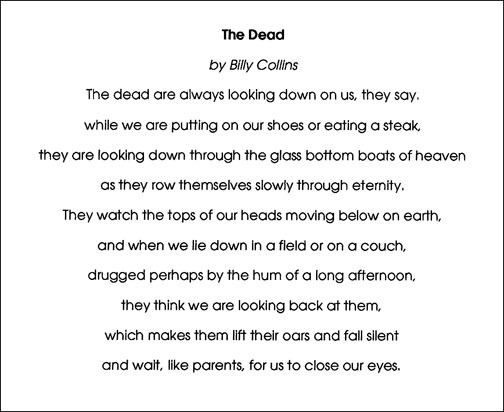 Long before I had intimate knowledge of death and dying, I came across this poem by Billy Collins, the Poet Laureate of the United States from 2001 to 2003. I was struck then, and remain impressed by its impactful imagery. I find it curiously comforting, with it’s twist of humor, the way I see God smiling lovingly on our small selves sometimes. God is always looking at us…at me, but I am not always looking back. I am not always willing to go where I would not choose to go. But always, and faithfully, God finds ways to speak to me as a mama might speak reassuringly to her frightened child. I come around and am back in the rhythm of life’s giving and taking, finding and losing. Thanks for putting up that painting of Frankie. 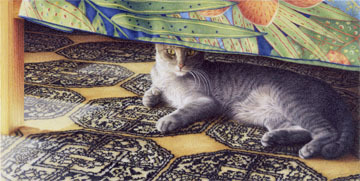 It is sweet to see his cat self on various paintings in the house. I wonder if Ordinary Mostly has told the girls about him? Yes. Ordinary’s spouse has done so. Very sweet.